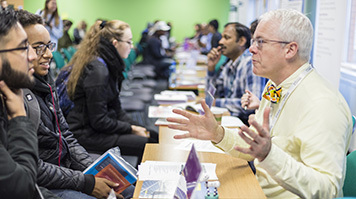 Fast forward your career in 2019 - attend our Postgraduate Open Evening and find out about the range of postgraduate opportunities LSBU has on offer. Academic staff will be available to speak to you about the course you are interested in studying. Advisers will also be on hand to explain more about fees and funding and the application process, and will be available to help with other questions you may have. Find out more about why you should study your postgraduate degree at LSBU.